Could all the hype surrounding fintechs and digital banking be overblown? Possibly. Recent studies — including a J.D. Powers survey of 88,000 consumers — suggest that those consumers who only interact with their financial institution through digital channels are less satisfied than consumers who use branches at least some of the time. Did all those warnings that "the sky is falling if you don’t go all digital" overstate the consequences? Or is the digital-only model still the banking industry's inexorable future? The number of digital-only consumers in the U.S. has been steadily increasing, hitting 28%, according to research from J.D. Power. But those consumers who are interacting with their financial institution exclusively through digital channels are the least satisfied. Those who use branches exclusively are slightly happier, but the most satisfied are those consumers who use a combination of both branches and digital. The most satisfied consumers — which J.D. Powers calls “branch-dependent digital consumers” — have visited a branch at least twice in last three months. “There is no doubt that digital banking channels give banks an enormous opportunity to reduce costs, but the risk is that those cost savings come with lower levels of consumer engagement,” cautions Paul McAdam, Senior Director of the Banking Practice at J.D. Power. In another study by D3 Banking Technology, 68% of consumers say they have been frustrated with their digital banking experience. The survey revealed that digital banking users ages 18-34 are more likely than those ages 55+ to be frustrated with their digital banking experience, as 73% of the younger group indicated that they have been frustrated with their digital banking experience over the past year, compared to only 61% of adults ages 55+. The D3 survey also found that more than half of digital banking users (70%) feel it is important for financial institutions to provide mobile deposit, P2P services (66%), and mobile account opening (51%) as part of their digital offerings. The cost savings of digital banking solutions are powerful and alluring. According to McKinsey, financial institutions can slash costs by as much as 25% by using digital to transform how they process transactions and service relationships. The trick, McAdam points out, will be for retail banks and credit unions to provide personalized and consistent advice across all channels — not just obsesses about digital only. 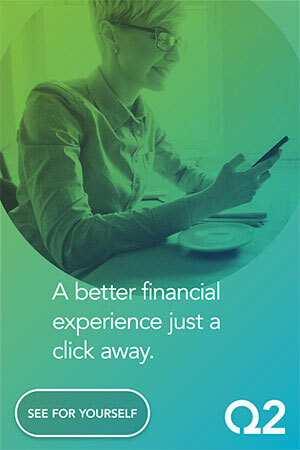 A study fielded by Javelin for Jumio found that the digital banking experience is still very much lacking. 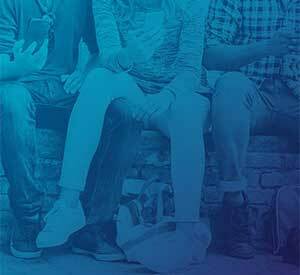 In the Javelin research, 43% of Millennials said have abandoned mobile banking activities — 25% of Gen Xers and 13% of Baby Boomers have done the same. Overall, the highest source of complaint across generations of mobile banking users was that the process took too long (36% overall), or that they could not remember their password (28%). Few traditional financial institutions — if any? — have figured out how to offer all their products and services digitally. Some banks and credit unions are certainly further along the digital continuum, but most still require consumers to physically visit a branch to complete certain transactions, particularly account opening. Shevlin also reasons that consumers who like to bank digitally-only are younger than those who continue to use branches or a combination of branches + digital. Because those younger consumers are just getting into the financial system and still figuring out which banks or credit unions are right for them, they may be less satisfied than older consumers. But the consumer satisfaction issue has gotten the attention of a few banking providers, with some banks and credit unions actually building up their brick-and-mortar presence. Bank of America and Chase are among those opening hundreds of new branches, focused on helping consumers with more complex requirements. Others are still going all-in on digital banking, like Santander who plans to launch a stand-alone digital bank focused on the small business banking market. Is The Fintech Threat Real or Imagined? 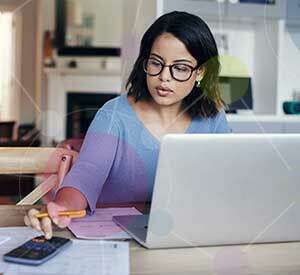 In the D3 study, the results suggested that financial institutions that fail to elevate their digital experience risk losing a significant portion of their customer base, with 32% of digital banking users saying that they are willing to leave their current bank or credit union for a better digital experience. But reports warning that digital startups and fintechs are stealing away consumers in droves simply haven’t played out — at least not yet. Consumers actually seem to be souring on digital-only contenders. According to a study from the RFI Group fielded in early 2017, over 75% of consumers in the UK said they would be fine banking with a digital-only startup. But 12 months later, that number had dropped to just slightly above 50%. The decline in the UK’s willingness to bank with digital startups mirrors feelings globally. RFI Group found the appetite for a digital-only provider of primary banking services decreased from 50% globally to 44% between the first and second half of 2017. Part of the reason that consumers are not rushing to give their business to digital-only startups and fintechs is a lack of trust and unwillingness to give these banking industry outsiders access to the data needed to make such offerings work. Trustpilot reports that the majority of consumers (85%) are not willing to let their banking provider share their personal financial data with third-parties, even if they were to be rewarded with tailored offers, a decrease in fees and/or more favorable interest rates. Another study looking at the same topic from the other direction found that only 24% of consumers say they trust fintech providers. Sally Francis-Miles with MoneySuperMarket says that while consumers assume that switching to any new banking relationship can be a hassle, digital-only banks face the added challenge of trust. Research by MoneySuperMarket echoed the same conclusions found in the RFI Group study. Three quarters of Brits in the MoneySuperMarket survey said they would be willing to choose a digital-only bank, but only one in ten Brits would prefer to use a digital-only provider over a traditional institution with branches. Offering some explanation for the preference, it was found that roughly two in five (37%) did not (yet) trust these new banking providers. There’s a couple of things that irk consumers and drive lower satisfaction scores, whether the consumer is digital-only, digital-centric, or branch dependent. According to J.D. Power two big issues are communication and new account opening. 1. Communication. Banks and credit unions just aren’t listening to — or even asking — how consumers want to hear from their financial institutions. For example, half of digital-centric consumers who perform most of their banking online or using a mobile device but still frequent a branch want their bank or credit union to communicate with them using email. Nevertheless, only 35% of banks and credit unions actually used email for their most recent communication. What’s interesting about digital-centric consumers, notes McAdam, is they have the highest satisfaction with their banking provider when interacting with a branch representative. “Digital-centric customers don’t use branches very often, but when they do, they value the interaction,” McAdam explains. In a somewhat ironic twist, branch-dependent consumers prefer to hear from their bank or credit union via text or through the mobile app. 2. New account opening. Many digital account applications — when they do exist — are merely online versions of the paper applications, notes Roberto Hernandez, a partner with PwC. Only a few of the largest and arguably most digitally advanced banks such as Citi and Chase have fully digital online account opening. 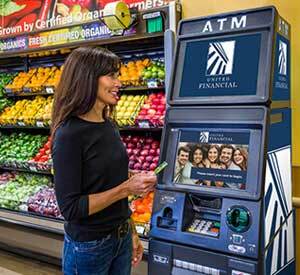 In a Genpact study, 57% of consumers said that opening an account in a branch versus digitally was just easier. The survey didn’t ask whether or not consumers wanted the option to open accounts online or with a mobile device. However, it’s likely (and safe to assume) that if the digital account opening process was easier, fewer consumers would choose the branch option. It’s not easy to make consumers satisfied as they compare their banking experience with their online shopping and streaming video experiences. Banks and credit unions will need to provide more personalized and consistent experience across all channels. Traditional banking providers need to communicate with consumers in the manner they want — it’s dangerous to assume that a consumer who visits the branch prefers a phone call or an email. Text may be their preferred method.